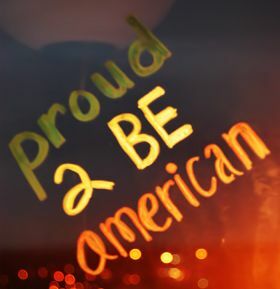 Americanism means the virtues of courage, honor, justice, truth, sincerity, and hardihoodthe virtues that made America. The things that will destroy America are prosperity-at-any-price, peace-at-any-price, safety-first instead of duty-first, the love of soft living and the get-rich-quick theory of life. Go with your first thoughts; they're usually your best thoughts. Pay attention, stick to your goals and follow those guidelines. It's all right there if you reach for it, unless you want to punch timeclocks and work for somebody. That's what we liked about America, the land of opportunity. All your dreams can come true. Our purpose now is to reclaim democracy itself. We are here to affirm that when Americans stand up and speak their minds and say America can do better, that is not a challenge to patriotism; it is the heart and soul of patriotism. In black America mother love is second only to the love of God - but just slightly.